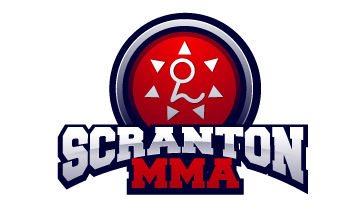 At Scranton Mixed Martial Arts we are proud to offer beginner boxing lessons at our academy. Scranton PA has a very rich boxing history and we are working to create a great future as well. We recently restructured our entire boxing program at Scranton MMA to include specialized classes for new members or people with no prior boxing experience. We wanted to make it even easier for anyone who has an interest in boxing to start learning this great sport in a very safe and professional environment. Boxing at Scranton Mixed Martial Arts now meets three times per week and each day there is a time slot for a beginners class and time for an advanced class. Our beginners now have an entire class devoted just to learning the basic techniques and fundamentals of boxing while being highly supervised and coached by our instructors. Having beginner boxing classes in Scranton helps in two major ways. First people in the beginner class get to work out and learn boxing in an environment that is geared towards the beginner. It makes sense for beginners to learn and practice in a way that is slightly different manner than an advanced student who has already gone through the beginner program. Having a time just for beginners allows our coaches to mold and guide the beginner student more efficiently into a proficient boxer. Beginners can take more time to learn the basic movements, punches, combinations and even the terminology of boxing. Another benefit to having a beginner boxing class at Scranton MMA is that our advanced class can really shine. Everyone in the advanced class has been invited to train by our instructors so they know they are ready for that class. The class does not have to stop or slow down to re teach the basics. Students in the advanced class will get more advanced coaching, more drilling and more sparring. It really is a win win situation for everyone beginners and advanced students. If you have any interest in learning how to box or taking your striking to a new height please dont hesitate. Call or email us today to find out how easy it is to test out our program free of charge.